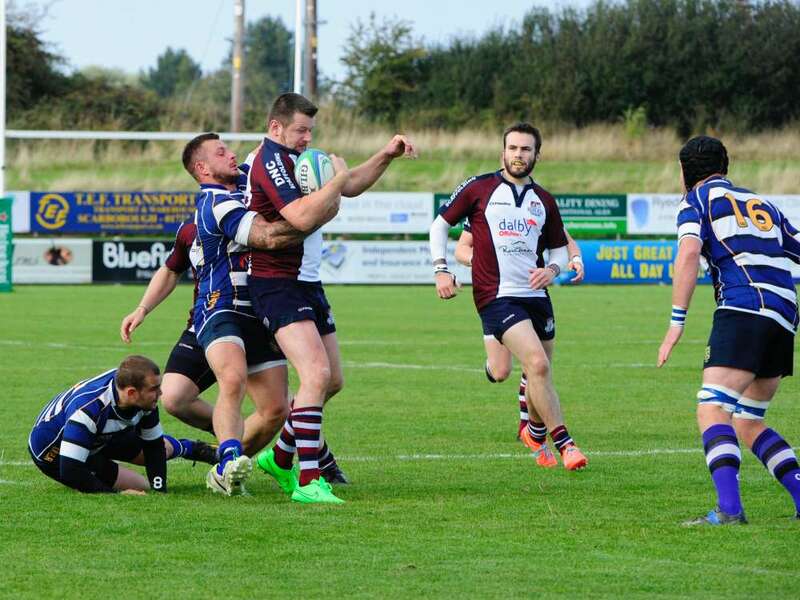 Scarborough maintained their 100% home record with the 28-12 defeat of strugglers Yarnbury at Silver Royd; however Coach Lee Douglas’ charges, much disrupted by injury, were unconvincing and only took control to grab the points late in the game. With a new centre pairing of Ant Coffey and Billy Parker, Jordi Wakeham replacing the injured Martin Robinson and Young James Leach at No8 for the now departed Eamon Chapman, the Seasiders needed time to settle. The Seasiders looked to strike back quickly and a couple of breaks by fullback Harry Domett gave the Silver Royd faithful hope. The visitors were penalised for hands in a ruck in the 16th minute and Harrison stroked the kick over to reduce the arrears at 3-7. Douglas sent Paul Taylor on in the 21st minute and transformed the game; the Scarborough pack repeated pushed Yarnbury of their own ball and pinned them in their own 22. The departure of Chapman has left a gap in experience in the Scarborough back row and although they were driving the visitors over their own line, their inability to control the base of the scrum saw several try-scoring chances go begging before Taylor powered over from a catch-and-drive in the 28th minute. Harrison added the difficult touchline conversion for a 10-7 Scarborough lead. The hosts did put some promising moves together in the last 10 minutes of the half but their only reward came with a Harrison penalty in the 35th minute for a 13-7 half-time lead. Leading by only six points at 18-12 the men from Silver Royd should have looked to take control, but buoyed by their try the visitors threw everything at an apparently tiring home side. Having weathered the storm, Scarborough put a few moves of their own together going into the final quarter and their pressure produced a penalty for a high tackle which Harrison kicked to nudge the lead to 21-12 in the 70th minute. And they clinched the points late in the game when the ball was moved wide in the 79th minute for Coffey to release winger Graeme Jeffrey who sprinted over for a thrilling try. Jordan Wakeham had a terrific game and looked sharp all over the paddock. However the pack’s inexperience and lack of control at the base of the scrum made it hard going for him at times.